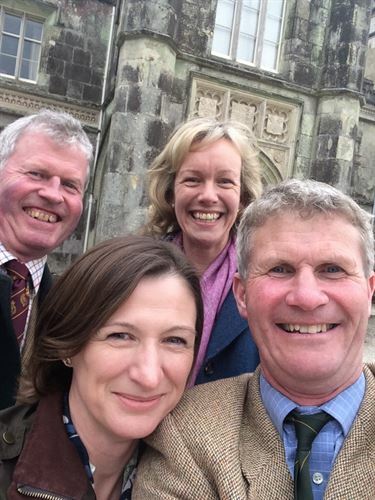 We (James, Justine, Jeremy and Sophie Hosking) had an afternoon at Tregothnan, as guests of our landlords the Boscawen family. We were among 6 families who were celebrating “over 100 years” of farming as Tregothnan tenants. The Hosking family came to Fentongollan in 1893 and are still going strong today.